GRANBY – The Moffat Road Railroad Museum project will be receiving its first piece of railroad equipment – the last part of a train. Organizers of Granby’s railroad museum project, the nonprofit Grand County Model Railroad Club members, say a caboose is travelling via truck from Falls City, Neb. by the beginning of October. The caboose is planned to be situated at the Railroad Interpretive Park next to the Kaibab ballfields in Granby, the location where the railroad museum building is planned to be built. 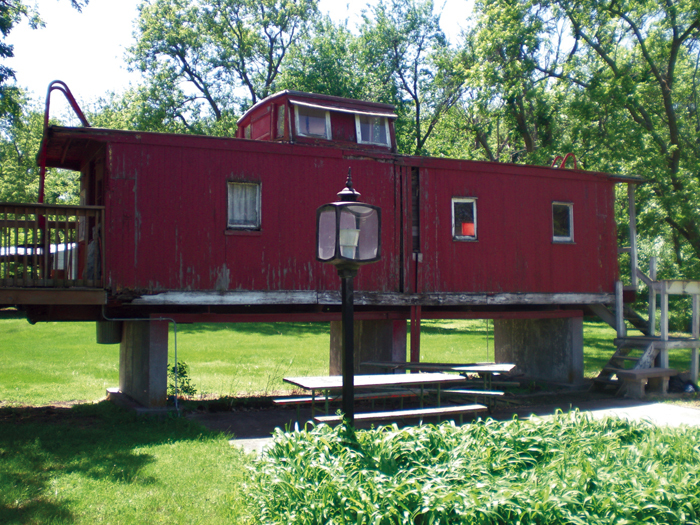 The caboose was donated to the Grand County Model Railroad Club from the Lonie Bahr family in Falls City, Neb. John Disher who moves railroad equipment for the Colorado Railroad Museum in Golden, will be transporting the caboose to Granby. The caboose is the only one of 175 made fron 1913 to 1924, according to Naples. “Very few are left,” he said. Since the caboose does not have any trucks (wheels), the Club currently is researching where to locate some. The caboose will also require some other restoration touches, “so time, money and materials are needed by the Club,” Naples said.